Before Britain totally abolished slavery in 1838, it’s parliament received quite a number of petitions to stop the transatlantic trade. Among these petitions was one from Mary Prince, a Black British woman who had been enslaved in Bermuda. Mary was born to enslaved parents in Bermuda in 1788. Just like her mother, she was the slave of Charles Minors. Still an infant, she was purchased by Captain George Darell, as a gift to his granddaughter Betsey William. After Captain Darell’s first wife and mother to William died, he sold Mary and her siblings at an auction to finance the wedding to his second wife. What is mental slavery and what does it have to do with Africa? Mary ended up with Captain John Ingham’s family, where she was responsible for duties in the house, child care and taking care of animals. She was just 12. The Inghams were one of the cruel masters Prince had to work for. She was pinched, whipped and kicked by Ingham and his wife. Mary ran back to her mother but she was taken back to the Inghams by her father. She stayed for a few years before she was put aboard a ship to Grand Turk Island. After a few years, moving from one slave owner to another, Mary ended up in London with her new owners, the Woods family. She was married, much to the ire of the Woods. Once in London, she escaped and became free…but only in London. There was no way she could go back to Antigua and still remain a free woman. As a free woman in London, Mary was helped by quite a number of people, receiving clothes, money and even paid work. She was eventually taken in by the Anti-Slavery office in Aldermanbury. 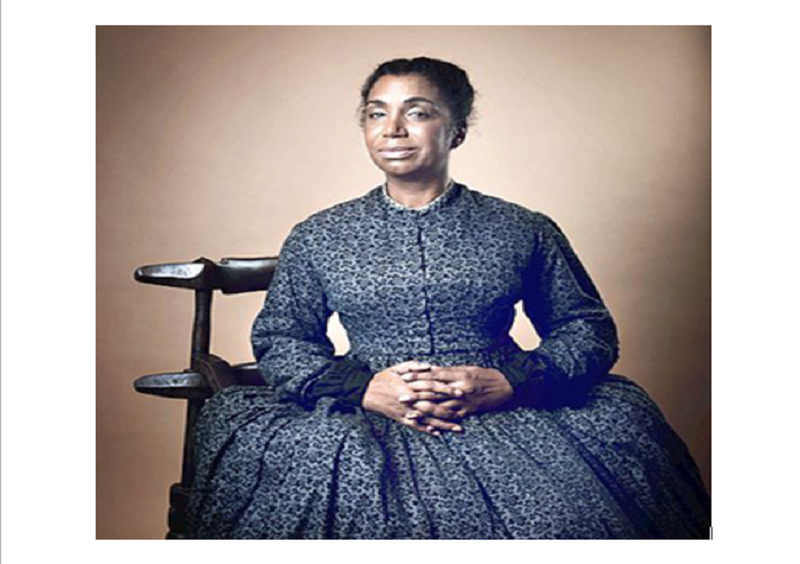 Her priority was to go back to Antigua to her husband and family, but she could not do that even after Thomas Pringle and George Stephens tried to negotiate for her freedom with the Woods family. John Adams Wood Jr. refused to let her go on any terms. 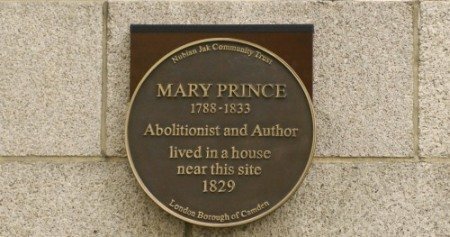 This plaque was erected in honour of Mary Prince in London. It was then decided that her case must be presented to the British Parliament. On June 24, 1829, her petition was presented to parliament. However, it was unsuccessful. 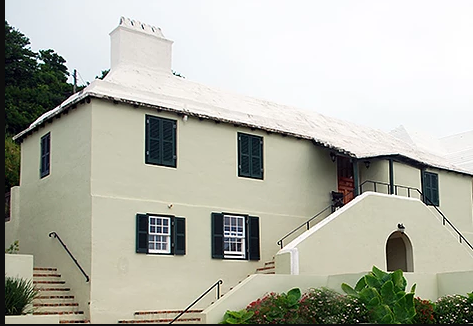 Following the petition, the Wood family travelled back to Antigua and Pringle had to employ Mary after she lost the job she held before the petition. More efforts were put in seeking her freedom, with the abolitionists in London sending mail and using their network to talk to Wood Jr. 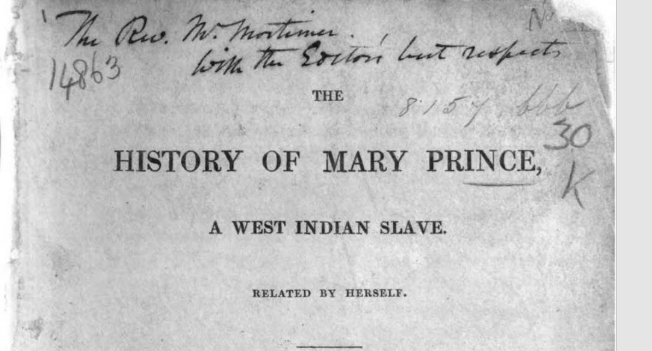 Following the events of her life and the tussle with the Wood family, Mary’s story was published in a pamphlet as a way to highlight the different issues slaves in the British colonies faced. She became the first black woman to narrate a slave story titled, The History of Mary Prince, A West Indian Slave, Related by Herself. Not so many people were happy about the story and the petition to abolish slavery. However, the story was quite instrumental in creating awareness about the status of slavery in the British Colonies, culminating in the total abolishment of slavery six months later on 28 August 1833.